In This Scene: D. S. in the flower gardens at The Bellagio. 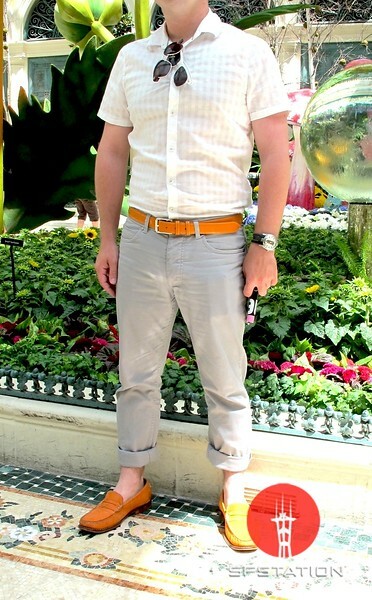 He is wearing a shirt and pants by H&M, orange leather belt by Longchamp, watch by D&G, and orange suede loafers by Cole Haan. I love the bright orange accessories against the soft gray and white--beautiful.